Never has laissez-faire thought been as dominant as it was among French economists, beginning with J. B. Say in the early nineteenth century, down through Say’s more advanced followers Charles Comte and Charles Dunoyer and to the early years of the twentieth century. For nearly a century, the laissez-faire economists controlled the profession economic society, the Societe d’Economie Politique and its journal, the Journal des Economistes, as well as numerous other journals and university posts. And yet, few of these economists were translated into English, and virtually none are known to English or American scholars – the sole exception being Frederic Bastiat, not the most profound of the group. The entire illustrious group remains unstudied and unsung. The most “extreme” and consistent, as well as the longest-lived and most prolific of the French laissez-faire economists was the Belgian-born Gustave de Molinari (1819-1912), who edited the Journal des Economistes for several decades. The initial article of the young Molinari, here translated for the first time as “The Production of Security,” was the first presentation anywhere in human history of what is now called “anarcho-capitalism” or “free market anarchism.” Molinari did not use the terminology, and probably would have balked at the name. In contrast to all previous individualistic and near-anarchistic thinkers, such as La Boetie, Hodgskin or the young Fichte, Molinari did not base the brunt of his argument on a moral opposition to the State. 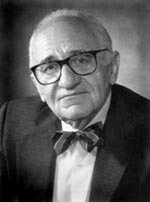 While an ardent individualist, Molinari grounded his argument on free-market, laissez-faire economics, and proceeded logically to ask the question: If the free market can and should supply all other goods and services, why not also the services of protection? During the same year, 1849, Molinari expanded his radically new theory into a book, Les Soirées de la Rue Saint-Lazare, a series of fictional dialogues between three people: the Conservative (advocate of high tariffs and state monopoly privileges), the Socialist, and the Economist (himself). The final dialogue elaborated further on his theory of free-market protective services. Four decades later, in his Les Lois Naturelles de l’Economie Politique (1887), Molinari was still a firm believer in privately competitive police companies, public works companies, and defense companies. Unfortunately, in his only work to be translated into English, La Societé Future (The Society of Tomorrow, New York: G. P. Putnam’s Sons, 1904), Molinari had partially retreated to an advocacy of a single monopoly private defense and protection company, rather than allowing free competition. It is instructive to note the storm of contention that Molinari’s article and his Soirées brought about in the laissez-faire stalwarts of French economics. A meeting of the Societe d’Economie Politique in 1849 was devoted to Molinari’s daring new book, the Soirées. Charles Coquelin opined that justice needs a “supreme authority,” and that no competition in any area can exist without the supreme authority of the State. In a similarly unsupported and a priori fulmination, Frederic Bastiat declared that justice and security can only be guaranteed by force, and that force can only be the attribute of a “supreme power,” the State. Neither commentator bothered to engage in a critique of Molinari’s arguments. Only Charles Dunoyer did so, complaining that Molinari had been carried away by the “illusions of logic,” and maintaining that “competition between governmental companies is chimerical, because it leads to violent battles.” Dunoyer, instead, chose to rely on the “competition” of political parties within representative government – hardly a satisfactory libertarian solution to the problem of social conflict! He also opined that it was most prudent to leave force in the hands of the State, “where civilization has put it” – this is from one of the great founders of the conquest theory of the State! With this publication of Professor McCulloch’s translation of Molinari’s original article, let us hope that Molinari will now come to the attention of scholars and translators. Originally published as a preface to Gustave de Molinari, The Production of Security, trans. J. Huston McCulloch, Occasional Papers Series #2 (Richard M. Ebeling, Editor), New York: The Center for Libertarian Studies, May 1977.